Stuttgart is one of a number of German cities that regularly exceed EU pollution limits. FRANKFURT -- Stuttgart will enforce a ban on older diesel vehicles by 2019 following a local German court ruling, the latest German city to fall into line with moves to cut pollution. 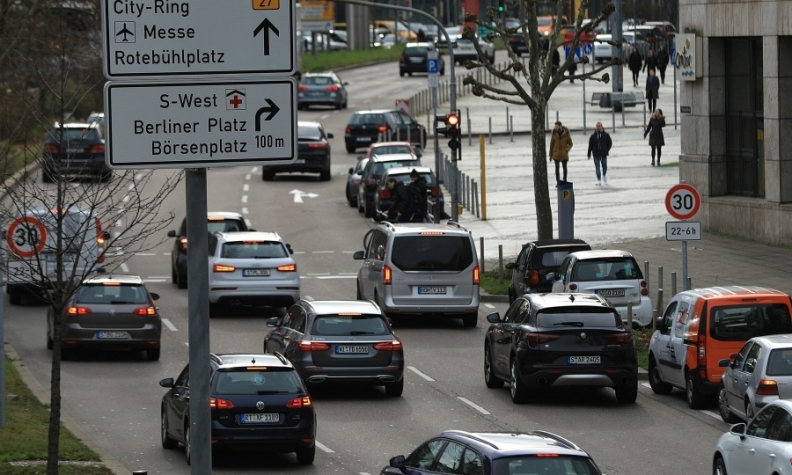 Stuttgart had appealed against an earlier ruling that sought to ban Euro 5 diesel vehicles from its city center by late 2019 but said on Monday it would adhere to the Baden-Wuerttemberg administrative court's ruling. Germany's highest administrative court ruled in February that banning diesel passenger cars is legally permissible. Diesel bans have now been allowed in Frankfurt, Hamburg, and Berlin. Last week, a court ruled that the western cities of Cologne and Bonn must also introduce limited bans, a decision that is being appealed by the state of North Rhine-Westphalia.